Systems Management is a really important aspect of running your business successfully. In order for your departments to run correctly they need proper oversight and management, and to do that you need the right software tools for the job. 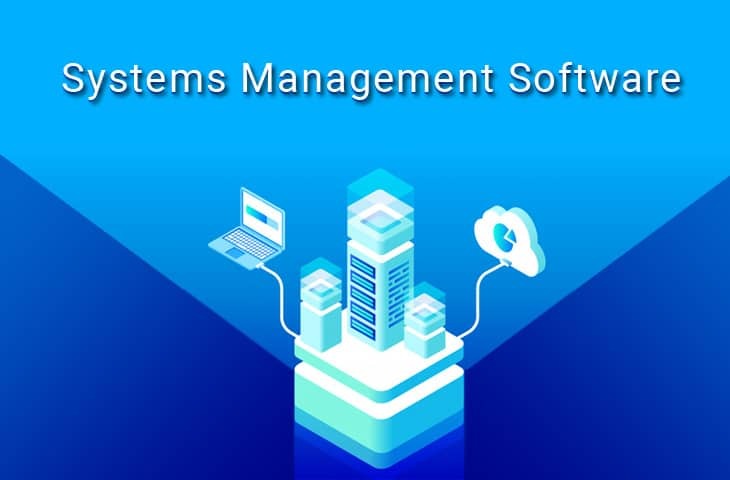 Systems Management is a broad term and can encompass many different aspects of IT from call and ticket managing systems that plug into your help-desk software, to asset and equipment system management software that tracks serial numbers, purchase dates and warranties. Other Management software includes system monitoring capabilities that help you to keep an eye on what is happening around your network at all times, giving you systems management and excellent visibility of your digital environment. We have gone ahead and rounded up the best choices for your business systems management solutions for 2019, and how each of these different applications encompass the different facets that make up IT management and monitoring. Some of these solutions will have combined features from different systems management perspectives, so it will give you an idea of which solution could work best for you in your current setup. 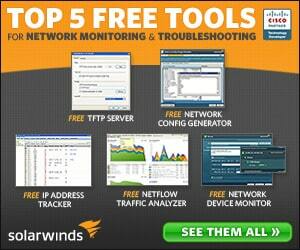 SolarWinds is a company that needs very little introduction in the world of enterprise level monitoring and management software solutions. They have products to suit every budget and technical requirement, so be sure to check out all of the other offerings that they have available. 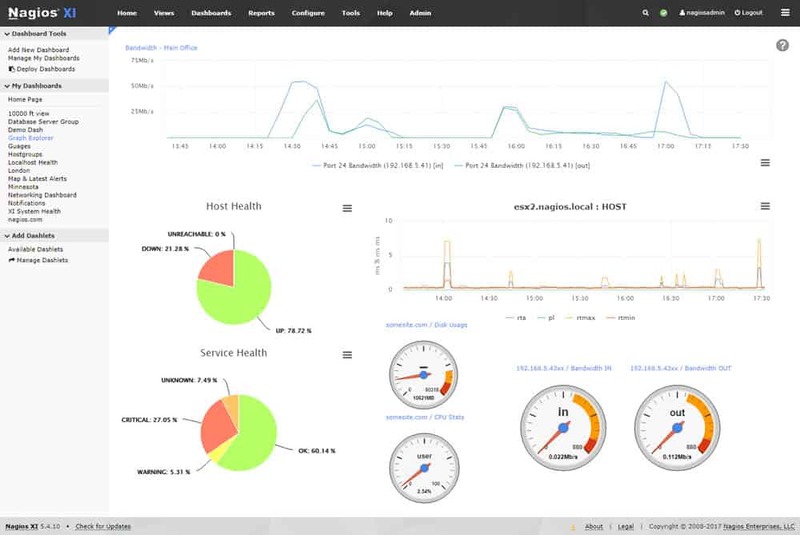 This application lets your IT department monitor server metrics such as uptime and availability with over 1200 monitoring templates to choose from. These templates cover every scenario that most companies will use to manage their server infrastructure from private and public setups to hybrid cloud environment deployments. The system uses something called unified application monitoring, which lets you choose predefined templates that give you full visibility of your servers. If you have custom applications and services that need monitoring, then you can also set up this system to take full advantage of that as well by tracking those specific targets and giving you feedback when you need it. 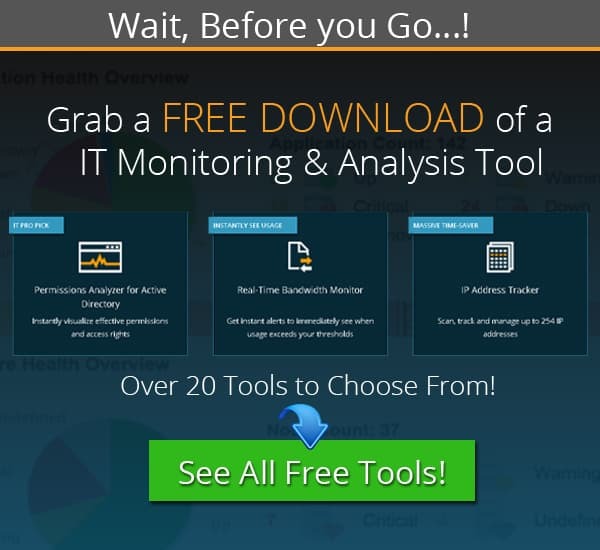 This software gives you the ability to monitor any application or server from anywhere, and lets you keep an eye on system performance too. Finding out about problems before they become critical is essential as it helps save time and prevents disasters from occurring. You can let the application do a full system scan automatically and let it find targets to monitor for you, or you can apply set templates to monitor the most important services and applications. SAM is not limited to Windows environments as it is capable of tracking Linux apps across different networks and environments as well. There is also Azure and AWS metric monitoring as well, giving you fantastic overall visibility and multi-functional capabilities all round. On top of all of this there are even more features baked into the application. There is a built in Virtualization monitor so that your VMs are always kept under a close watch when errors start to appear. There is a built in storage monitoring module that alerts you about drive health, free space and overall capacity. 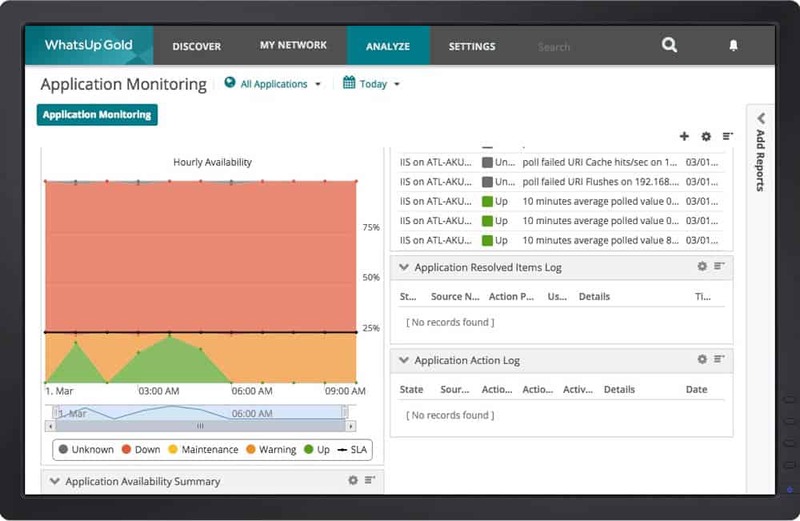 Customizable monitoring lets you mix and match the specific metrics that you are looking to monitor and it even includes a centralized asset management system so that you can keep track of your valuable IT components across the network. Application dependencies, PerfStack Dashboards, Optional High Availability and an Enterprise Command Center all come together to deliver a product that makes the job of Systems Management so much easier. 30 Day Free Trial to Get Started! Manage Engine Systems Management is an essential application that allows you to view the underlying infrastructure of your business, such as critical systems and back end systems that keep your organization running. The application lets you and your team know how well the systems are running in general, and can give you accurate indications of what kind of loads your systems are dealing with in real time. 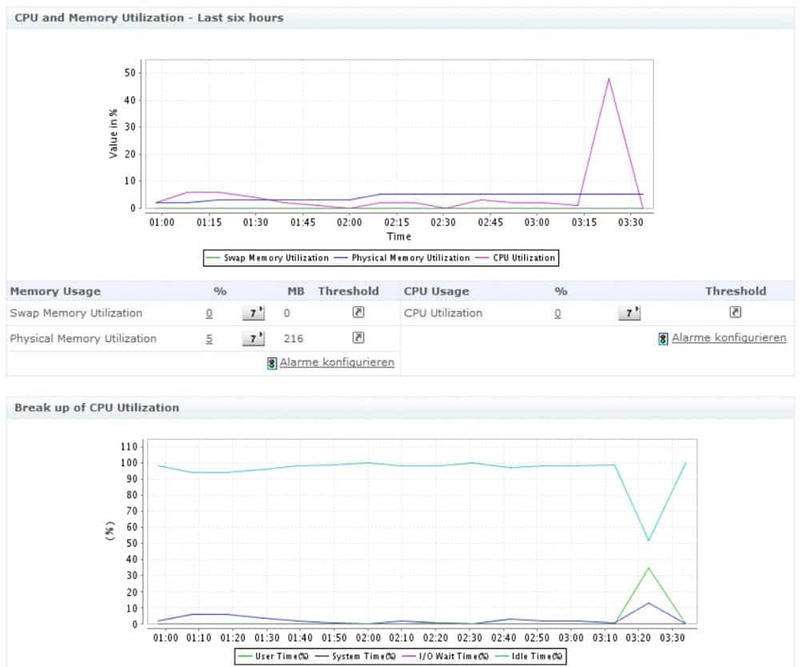 The server monitoring component gives you access to server load, disk usage and utilization, processor workloads, RAM utilization, and many other monitoring metrics that you need to keep the systems running. 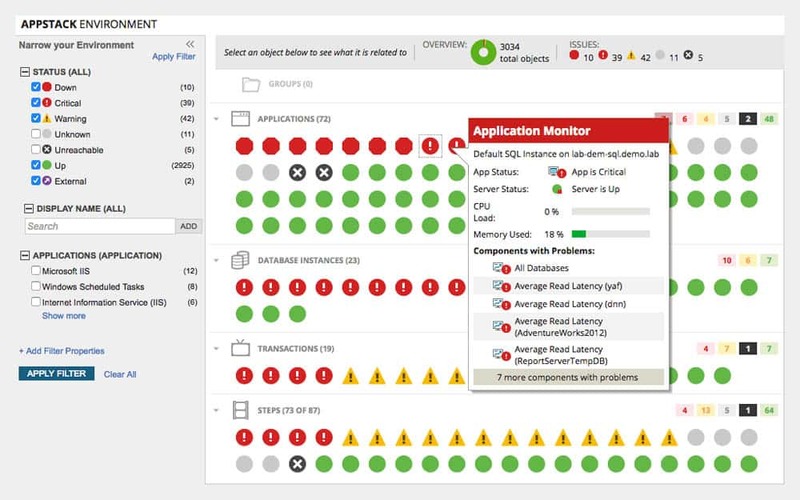 Application monitoring is another big feature of this software, and it allows you to monitor the crucial software components that are running on your servers. By combining server and application management together you create a powerful solution that not only keeps you informed of what is happening in real time, but it also lets you plan for future events. 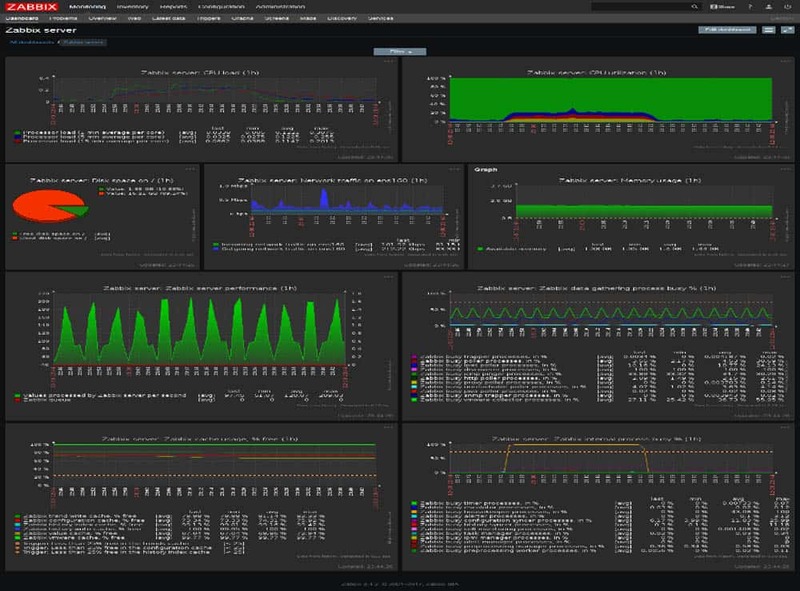 The great thing about this monitoring and Systems Management Suite is the fact that it has support for multiple environments out of the box such as Windows Monitoring, Linux Monitoring, Solaris Monitoring, IBM AIX Monitoring, Mac OS Monitoring, HP Unix/Tru64 Monitoring, FreeBSD Monitoring, Script and custom user defined monitoring, and more. This makes it a highly flexible and versatile monitoring solution for you and your company, which will give you the best of both monitoring applications and monitoring server environments. Reporting is another strong feature of Manage Engine Systems Management, allowing you to grab as much information as you need to compile comprehensive and valuable reports. You will be able to build a picture of what you need to take to the executive level or third party suppliers with all of the information that you need to make your case more clear and concise. It is a great way to manage performance metrics of your servers and applications, and is an excellent tool to use with your teams. Overall, there is a lot that you can do with this Systems Management software, and it is definitely worth using if you work in an IT department where monitoring and reporting is essential to getting the job done. Pricing is available through this quotation portal here. The PRTG Network Management application is the ideal choice for IT teams that need to keep an eye on connectivity issues on your interconnected systems on the network. 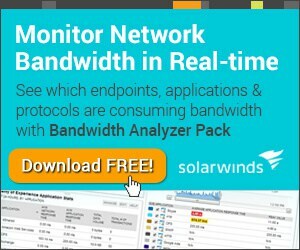 In addition to the visualization benefits that you gain from monitoring these systems you can also track your user bandwidth usage, availability of network resources, performance and hardware states. This means that your administrators are able to see exactly what is happening at any time. If there are network issues that are causing speed limitations and connectivity problems then PRTG can identify what protocol is causing the issue, and from which computer it is being executed. 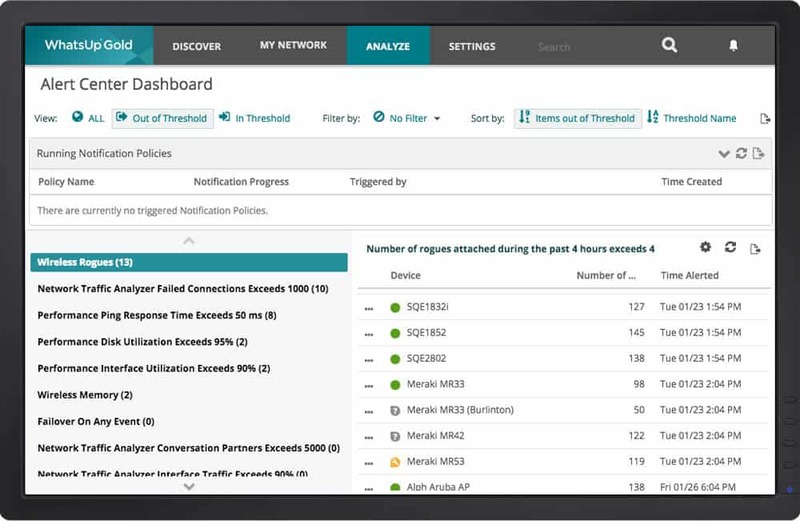 It allows you to continuously check if certain devices are available on your network and gives you visibility of what you can communicate with or not. Performance and load balance monitoring are also a just a few mouse clicks away with convenient and easy to use user interfaces. If you are thinking about implementing network monitoring into your current setup then you will be pleased to know that you can easily monitor the following applications and services with Paessler Network Management with PRTG. Bandwidth Monitoring, Uptime monitoring, Packet Sniffing, Router Monitoring, Usage Monitoring, IBM Monitoring, Update Monitoring, WiFi Monitoring, and much more. This means that if you have specific network functions that you need to manage and monitor then you can easily find what you are looking for with PRTG. 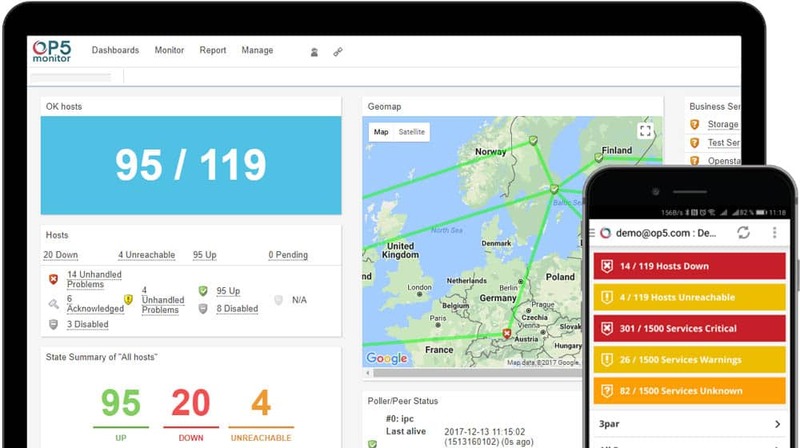 PRTG allows you to check how fault tolerant your network is by giving you real time assessments on performance and network issues, such as failed network switches, routers or servers. Failed applications can also trigger your custom alerts, meaning that you will never be surprised by a system outage without first getting some critical alerts and warnings. Download a 30 Day Free Trial Version from here. After 30 days the license type reverts to the free version, or you can choose to buy the full version if you wish to continue using all of the features. Zabbix offers monitoring solutions for many different industries, all of which have an intensive IT based infrastructure that supports each one. Because of the varying requirements that each industry has, the way in which the network monitoring occurs is also different on a case by case basis. Zabbix offers flexible options for many different aspects of monitoring, so you can have a customized solution that fits in with the way your operation runs. Network performance is monitored with a highly usable network bandwidth monitor, which also gives you an overview about traffic statistics and data. You can view your packet loss rate, interface error rates of your different network machines and appliances, high CPU and error rate measuring, TCP connections and throughput of core networking devices. 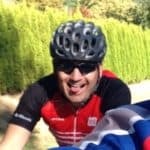 Network health is another critical aspect that Zabbix helps you to manage, with fundamental warnings for links that go down being one of the most important. 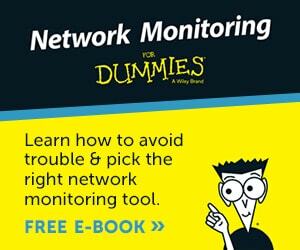 If a device or a remote site’s link fails then you want to know about it right away. If you have a service that is unhealthy and is about to fail then you will be happy about the system status and warning states that alert you to unhealthy devices that are potentially about to fail. Temperature warnings are another added feature that Zabbix offers, giving you a full view of your servers and networking equipment. Power can also be monitored as well as disk space, fan activity and SNMP data collection failures. 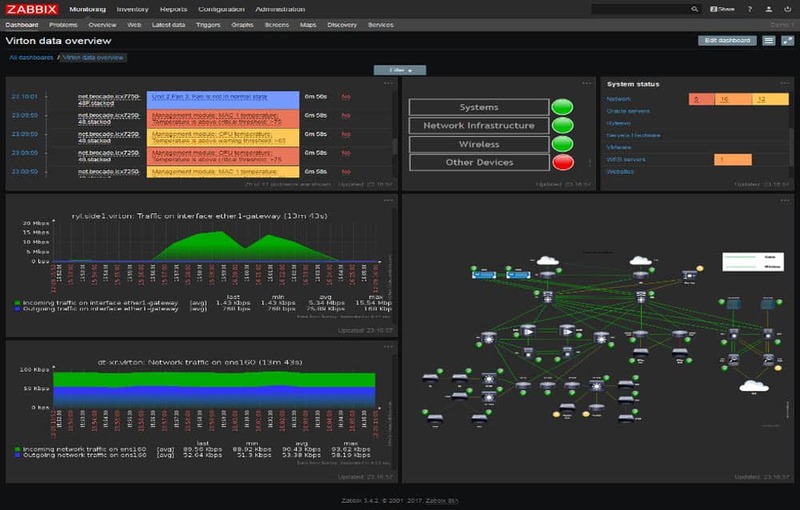 Overall Zabbix is a full featured application that gives you more control over your network than you thought you needed. It can even monitor the configuration changes of your devices over the network, with measured changes applying to new devices that have been added or removed from the network. It can detect network module changes if a device has been added, removed or replaced, and even if the firmware or serial numbers of your devices have changed. A download of Zabbix can be found here. WhatsUp Gold is a monitoring application that not only gives you an application performance monitoring platform, but it also helps to extend your visibility to the applications and services that make up the various systems around your organization. It provides your teams with a monitoring system that lets you easily track applications on Linux, Microsoft and Apache webservers as well. From inside the application you can quickly generate custom application profiles and change the pre-existing profiles that ship with the application so that you can use WhatsUp Gold in a way that suits you. This helps you to maintain the high standards that your users need from you, allowing you to hit all of your performance targets. If your company has its own custom applications that you struggle to monitor, then WhatsUp Gold can help you to quickly generate application profiles that let you monitor the metrics that your programs use for reporting. Once you have connected to your target server, WhatsUp Gold will show you a list of all of the available services that are available for monitoring, allowing you to create the perfect template for your needs. 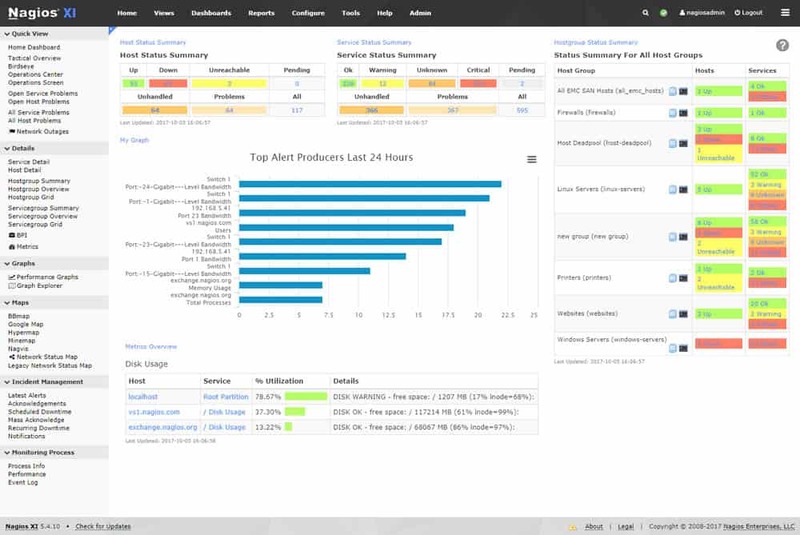 You can take advantage of easy to create dashboards, allowing you to quickly identify and resolve issues as they arise. For those wanting to try out WhatsUp Gold a download link can be found below. You will need to fill out a contact form to get access to the installation file. Check here for a quote. 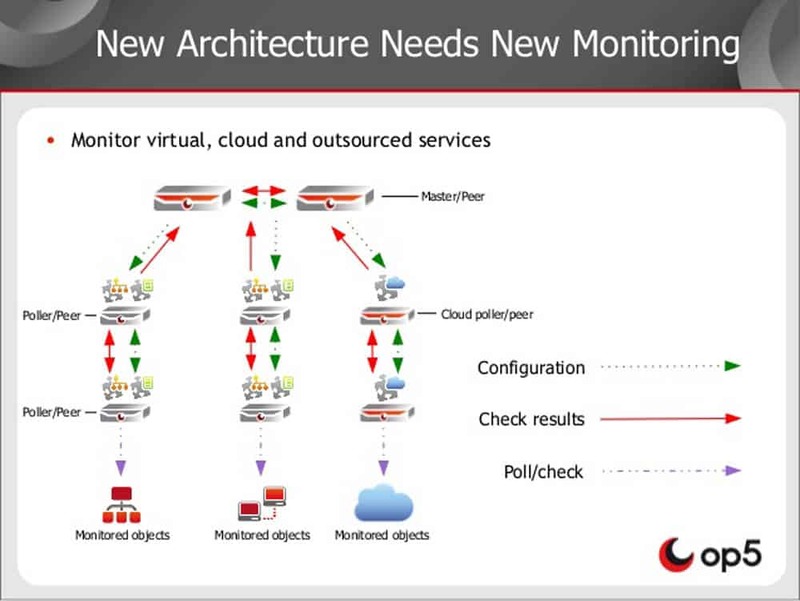 OP5 Monitor is an enterprise solution that gives you round the clock visibility of your network. It is a scalable and customizable solution that provides users with maximal business intelligence about how the organization is functioning. It allows you and your team to take back control of your network, and will help you to automate the tasks of monitoring and keep track of your organization’s vital resources. One of the best things about this application is that it does so much of the hard work for you, all from the convenient location of a single application. 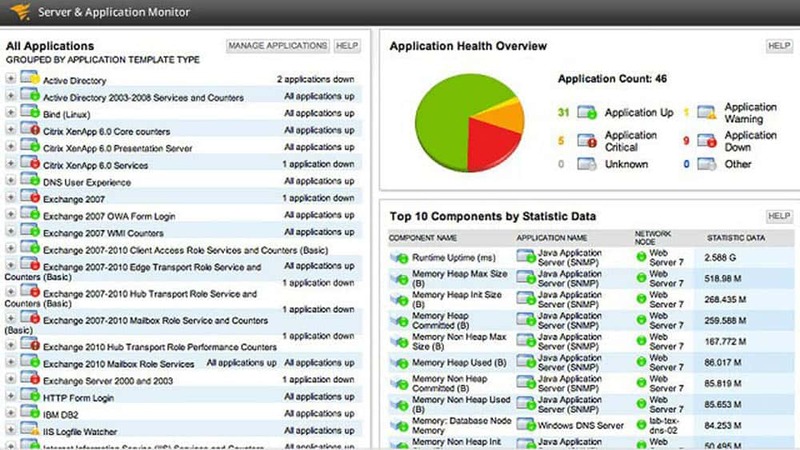 It will let you monitor your applications, networks, servers and storage. It even lets you map out your sites between locations even if they are located around the world. For those wanting to try out this application a download link can be found right here. The application is free to download as it is open source, you can pay for enterprise support though. Read more about the pricing models here. Nagios is a fully comprehensive IT infrastructure monitoring application that helps you to stay on top of all of your essential systems and services. This includes applications, services, servers, operating systems, network applications and protocols and so much more. There are literally hundreds of third party add-ons for you to try out and tweak until you find the best solution to suit your needs. One of Nagios’s best features is the performance. 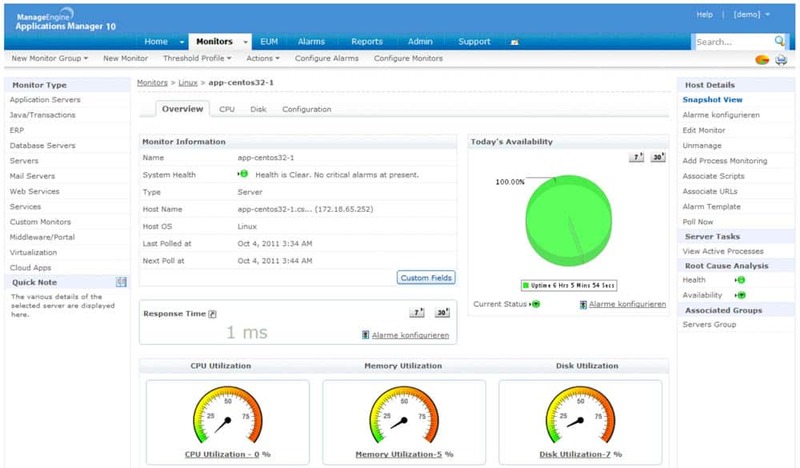 The speed and efficiency of this application is due to the powerful Nagios Core 4 monitoring engine. It is highly efficient and is therefore a very scalable feature. If you really want visibility and vision of what is happening on your network then definitely look at Nagios XI .Download it from here. 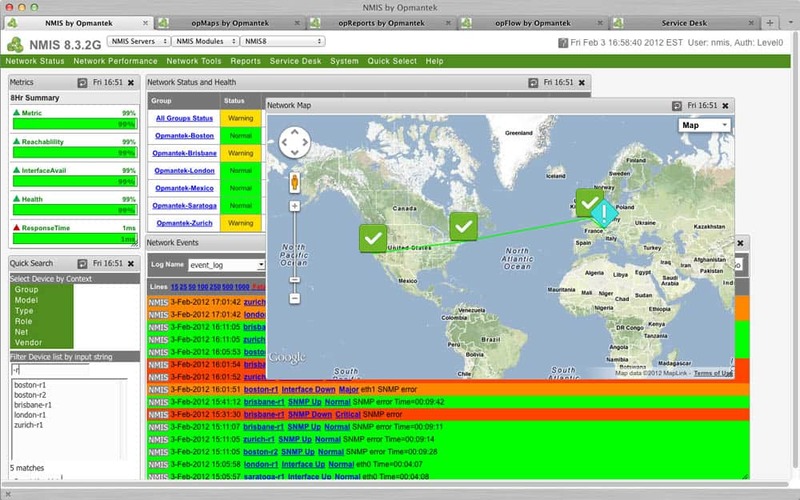 Opmantek is an intelligent network management system that lets you discover devices on the network, audit them, and then manage and monitor them. This means that if you connect new components into your company’s network systems then you can expect to not only detect the device, but audit it as well. Managed service providers are also accommodated, which means that you can use this application in many different scenarios. If you run a business then you need to understand how important it is to have a full systems management software solution on your network. You have to know what is happening whenever there are issues, so finding the right product will make your business not only more resilient, but will also help you to grow, maintain your success and stay secure. We hope that you have found all of this information helpful!